When it comes to online security, many people have all the necessary measures in place – i.e. firewalls, antivirus software and secure connections but still end up becoming victims of cyber criminals or scam artists. Why is this? The answer is simple. While having all these security measures in place is important, scam artists are masters of influencing people and play on human nature to get what they want. 1.) 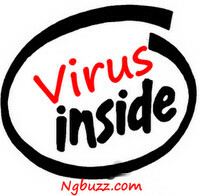 Get antivirus software. There are a number of different free and paid antivirus packages available with features such as added protection for online banking and shopping, email scanning and file verification prior to opening. The free versions generally have fewer features. It’s important that you update your antivirus software on a continuous basis to ensure that it has a comprehensive list of virus definitions and that you’re PC remains protected. 2.) Be careful about the emails and attachments that you open, as they may contain Malware which can be used to access your computer. Your antivirus software should scan all attachments automatically but if it looks suspicious rather just delete it. 3.) Be wary of emails or SMS’s asking for personal information. No bank or financial institution will ever ask you to SMS or email personal information such as ID numbers, passwords and account details. If you receive any messages or emails requesting this type of information it’s best to delete them immediately, even if the message looks legitimate. 4.) Be on the lookout for the signs of a flyby night. Beware of ecommerce sites that require deposits to purchase or only accept payment in cash. Rather stick to sites that accept payment by credit card. Before you make any purchases, look for reviews from previous customers. Services such as hellopeter.com offer one of the best ways to gauge credibility – Finding out what other people say about them. Another sign of a potential flyby night is the lack of a physical address and contact number. 5.) Use more than one email address for your online accounts. The advantage of using multiple accounts is that if one of them is compromised it will be much easier to do damage control. Just make sure that you keep track of the login details for the different accounts you’ve created. 6.) Set strong passwords. One of the biggest problems when it comes to setting passwords is making them complex enough while still being able to remember them. It’s generally a good idea to use a series of numbers and letters, as well as uppercase and lowercase characters. Try as much as possible not to include personal information in the passwords, such as names and pet names. Checkout Symantec’s guide to better password practices for more information on creating effective passwords. 7.) Avoid visiting dodgy websites and clicking on suspect looking links. It can sometimes be tricky to establish which websites you should avoid. Software such as McAfee site advisor and AVG link scanner are helpful in determining which sites are safe to visit by displaying a “trusted” or “not trusted” sign alongside sites in the search results. 8.) If you access the internet through a wireless network, make sure that its password protected. Take a look at the password guidelines mentioned earlier in the post for help in creating an effective password. This will prevent unauthorized persons from accessing your private information and will make it a lot harder to for thieving bandwidth monkeys to steal your data allowance. 9.) If you’re handling sensitive information over a public network, use a secure internet encryption program such as HMA! Pro VPN. This will encrypt your connection and provide you with a new IP address. In the same way that traditional access control systems such as Biometric scanners restrict entry to secure locations, online security measures put up a barrier between you network or computer and online world, thereby preventing unauthorized users from accessing your information. This article was written by James Michaels who is an avid gamer, food lover and cyclist.